THAT L.A. 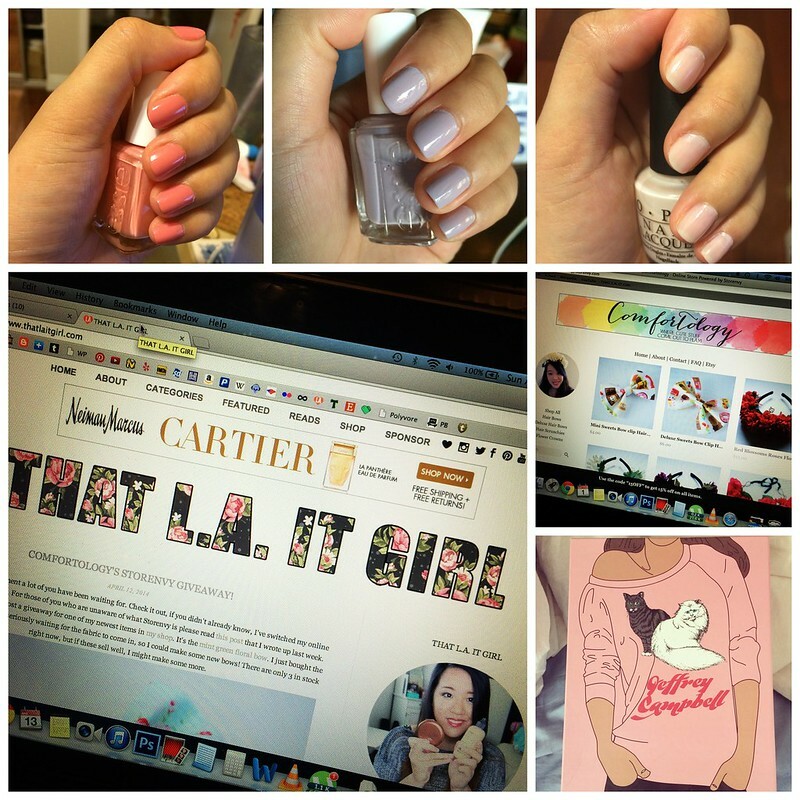 IT GIRL: Instagram Monthly | Nails! 1. My current nail polish on my nails: Essie's Whisper // 2. Last week's nail polish: Essie's Nice is Nice // 3. A couple of manicures back: OPI's Step right up (Sorry, this is a limited edition polish from a couple of years ago) // 4. My new layout on my blog. I want to thank a couple of friends who helped me out with the code Thanks Mr. N and Mr. L! :) // 5. My online shop on Storenvy finally opened up. // 6. My new pair of Jeffrey Campbells. I have yet to reveal these, because I want to pick up another pair soon! Oh loving that smoky lilac color There is kit by Nails Inc that i want to get that has a similar color in it. very nice nail colours! Adore the mix and pastel palette! Hey, mind checking out my blog? I would appreciate it ★ Your blog is totally fab! It's so addicting to come back for new post. I'll be waiting to see the new Jeffrey Campbells !